In 1999 and again in 2006, the L.A. City Council adopted provisions allowing the owner of Staples Center, L.A. Live, and the new convention center hotel to avoid a key sign code requirement that billboards and other signs within a certain distance and visible from freeways be referred to the Department of Transportation (DOT) for traffic hazard evaluation before being issued permits. The 1999 action gave signage rights to Anschutz Entertainment Group (AEG) for the area generally bounded by Venice Blvd., Figueora St., Olympic Blvd., and the Harbor Freeway, and the 2006 action established signage provisions in a somewhat larger area called the Los Angeles Sports and Entertainment District (LASED). Included in the 2006 provisions were “freeway-edge” signs along the Harbor Freeway, which would have been subject to the municipal code requirement that any signs within 500 feet of a freeway be referred to the DOT for hazard evaluation. AEG’s signs were also exempted from a code provision that prohibits permits for signs within 2,000 ft. of a freeway if the Department of Building and Safety deems them to be primarily visible from the freeway. AEG is now seeking permits for signs on the outside of a newly-constructed cinema complex in the L.A. Live area. Some, if not all of the signs would have been subject to the code provisions if not exempted by the city. The L.A. Times reported last week that City Attorney Carmen Trutanich is advising the building department not to issue the permits, on the grounds that the off-site sign ban adopted by the City Council in August prohibits them. City Councilwoman Jan Perry, most vocally, is claiming that the 2006 action gives AEG a vested right to put up the signs, even though construction of the cinema complex hadn’t yet started. The issue raises several troubling questions, not the least of which is the City Council’s seemingly blithe disregard of code requirements that were originally adopted out of a concern that signs visible from the city’s freeways could potentially pose a distraction to motorists and increase the likelihood of accidents. These exemptions have also been cited by sign companies that have sued the city attacking the constitutionality of the ban on off-site and supergraphic signs. One of those companies put up four full-sized billboards on the side of the Harbor freeway opposite the L.A. Live area without permits, and the City Attorney is now seeking an order in federal court requiring that they be removed and a multi-million dollar penalty imposed. The exemptions given the L.A. Live signs can surely do nothing but make it more difficult to get rid of those billboards, one of which is less than 50 ft. from the edge of the freeway. And another question: Should the City Council be able to simply exempt a deep-pocketed, powerful company from a section of city code because those provisions might be an impediment to what that company wants to do? Jan Perry wasn’t a member of the City Council when the first agreement was adopted in 1999, but she followed the playbook last year, when she pushed for council approval of a sign district allowing digital billboards on an MTA bus lot next to the 10 freeway south of downtown. The ordinance establishing that sign district also exempted the permits for those billboards from any traffic hazard review. Yet another question: If that traffic safety provision is so unimportant that it can be ignored at every turn, why is it still on the books? While the city of Los Angeles has appeared to have bent over backward to give AEG what it wants–see L.A. Weekly article–the two entities might also be seen as strange bedfellows. 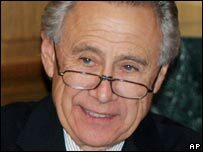 AEG’s billionare owner, Philip Anschutz, who lives in Colorado, is well-known for his conservative views, and financial support for such organizations as Colorado for Family Values, which actively opposes gay rights initiatives and other parts of what it terms an “anti-family” agenda. Anschutz is also owner of The Weekly Standard, the pre-eminent conservative newspaper in Washington, D.C.